Indianapolis, Indiana (09/10/18) - Chad Finchum took his Smithbilt Homes/ MBM Motorsports/No. 40 Toyota Camry to the legendary Indianapolis Motor Speedway over the weekend to compete with the NASCAR Xfinity Series. Mother Nature would not be a fan of the "Brickyard" as persistent rain forced the event to be postponed from Saturday to Monday morning. Not only was the race affected by rain, but all of the practices and qualifying were nixed. As a result, the starting grid for the 100-lap affair was determined by points, which positioned Finchum 36th. 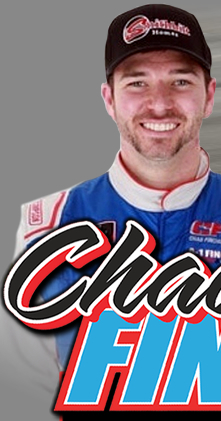 In only his second appearance at the 2.5-mile oval, Chad made up ground early and often in the Lilly Diabetes 250. He raced his way to as high at the Top 10 before ultimately setting into a 21st-place finish. 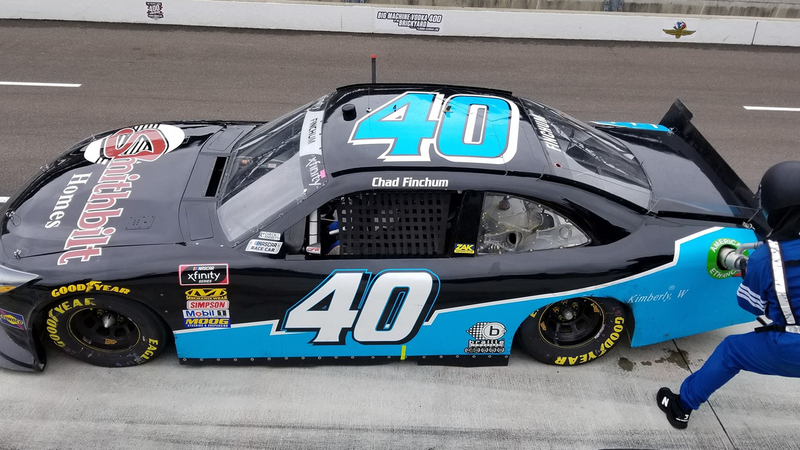 "No practice, no qualifying, no track-time and this team was on point," Finchum said. "We were actually fighting in the Top 10 at the end of stage 2, which I though was really awesome. Unfortunately we ended up having to come to pit road and do some long adjustments, which cost us position on the track. All in all though, 21st isn't too bad, and I'm really proud of what we were able to accomplish."